LONDON, March 22 (Reuters) - The number or people who died in an attack close to Britain's parliament on Wednesday has risen to five after the death of a third member of the public, police said. Previously, the death toll had stood as four, including the attacker and a police officer. Britain's top counter-terrorism police officer Mark Rowley told reporters that police believed the attacker was inspired by Islamist-related terrorism. Rowley said police believed they knew the identity of the attacker but he declined to provide details. Armed police have taken the precaution of closing the gates at Buckingham Palace, where the Queen is in residence after today's incident. At least one body seen being covered by a blanket. 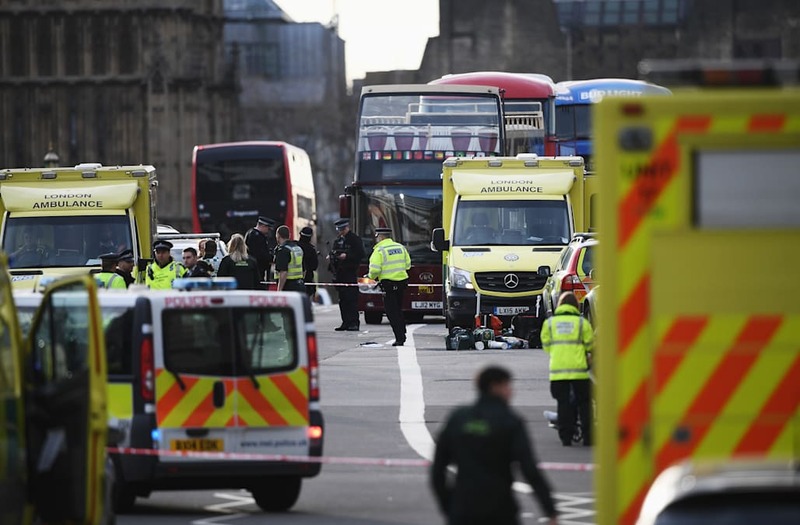 "The attack started when a car was driven over Westminster Bridge, hitting and injuring a number of members of the public, also including three police officers on their way back from a commendation ceremony," Rowley said. "A car then crashed near to parliament and at least one man, armed with a knife continued the attack and tried to enter parliament." Reuters reporters who were inside parliament at the time heard loud bangs and shortly afterwards saw the knifeman and the stabbed policeman lying on the ground in a courtyard just outside, within the gated perimeter of the parliamentary estate. 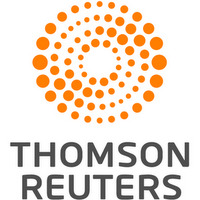 A Reuters photographer said he saw at least a dozen people injured on the bridge. His photographs showed people lying on the ground, some of them bleeding heavily and one under a bus. A woman was pulled alive, but with serious injuries, from the Thames, the Port of London Authority said. The circumstances of her fall into the river were unclear. "I just saw a car go out of control and just go into pedestrians on the bridge," eyewitness Bernadette Kerrigan told Sky News. She was on a tour bus on the bridge at the time. Police telling us we are safe here. But if police tell us to run 'run.' Ministers caught up here including Brexit Minister David Davis. Just been told we're not going anywhere anytime soon. Colleagues taken out of the library at gun point by counter terrorist armed police officers. Looks like a Minister has blood on him But he's ok. Think he was helping cops. Journalist Quentin Letts of the Daily Mail newspaper told LBC radio that he had witnessed the stabbing of the policeman and the shooting of the assailant from his office in the parliamentbuilding. "The policeman fell over on the ground and it was quite horrible to watch and then having done that, he disengaged and ran towards the House of Commons entrance used by MPs (members ofparliament) and got about 20 yards or so when two plain-clothed guys with guns shot him."